If ever a child was born with everything going for him, it was Robert Devereux, the 2nd Earl of Essex. 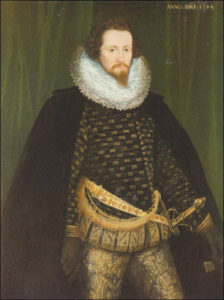 His mother Lettice was first cousin to Queen Elizabeth I. When he was 10, Robert’s father died and he inherited a title, great wealth and vast estates. Essex’s genes gave him great good looks, height, a good body, and gorgeous hair. At 12, he entered Trinity College. He was intelligent, cultured, educated, adored. And a poet. But when he was 13, his mother did something very unwise. She secretly married Elizabeth’s favorite, Robert Dudley. Elizabeth was beyond furious. She banned her cousin from court – for life! Strangely – or maybe not – when Essex was still a teenager, the 50-something Elizabeth became enchanted with him. 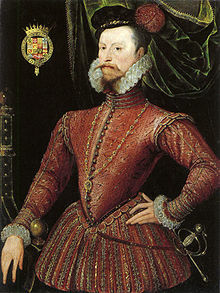 His stepfather was indeed her beloved Robin, and he may well have reminded Elizabeth of the young Robert Dudley. Elizabeth was a master of make-up, a beguiler with jewels and clothes, a fine dancer and a great flirt. Essex absolutely believed that the queen was in love with him. And why not? She did grant him extraordinary indulgences, like allowing him to go unpunished after drawing his sword in her presence, an off-with-your-head offense. When Elizabeth needed a governor-general for Ireland, Essex’s enemies convinced him he was the only man for the impossible job. Off he went in 1599, as headstrong and arrogant as ever. He failed. Returning to England against Elizabeth’s direct orders, he barged into her chambers before she had her wig, make-up, gown and jewels on. Essex, shocked by her appearance, called her a “carcass” to her face! For this offense, Elizabeth confined Essex to his house in London. There, he foolishly got drawn into political intrigue and found himself at the head of a revolt, headed toward the Queen’s residence in London. With him was his mother Lettice’s third husband, young Christopher Blount. 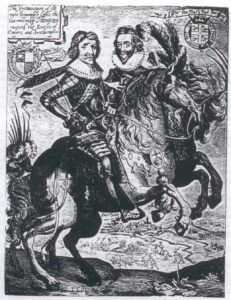 Arrested for treason, Essex and Blount were imprisoned in the Tower. Elizabeth, who hated to kill anyone, agonized. In the end, she gave the order. Essex, 35, delivered an eloquent speech. It may have taken the swordsman as many as three whacks to sever his head. Blount soon followed. 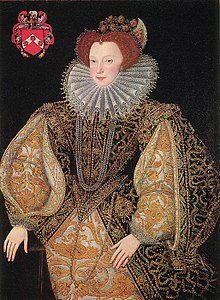 Elizabeth had beheaded her cousin’s husband and son. Elizabeth cloistered herself, refusing to speak for days. With all of his advantages, he apparently had little in the way of humility, wisdom or simple kindness. Sounds familiar.